At Walt Disney Parks and Resorts, we continually push the boundaries of creativity and innovation to deliver the best possible experience for our guests. We’re always looking for ways to take what we do and do it even better. Over the past few years, we’ve devoted considerable time and resources to create a more immersive, more seamless and more personal experience for each and every guest who spends time with us. 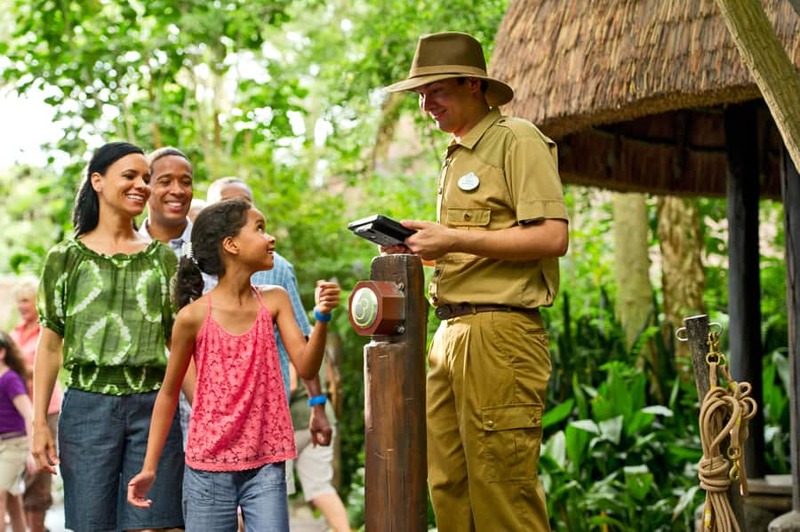 I know there’s been significant speculation about these efforts among our fans, so we’re pleased to give you a glimpse into the work we are doing to take the entire Disney guest experience to the next level. 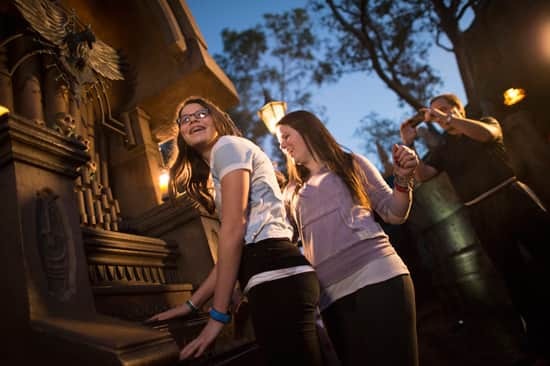 Some of these initiatives are more apparent and can already be seen by our guests – like our interactive queues at Walt Disney World Resort and the Enchanted Art on our cruise ships – while others are more behind-the-scenes and are focused on “how” visitors plan, access and enjoy their experiences with us. 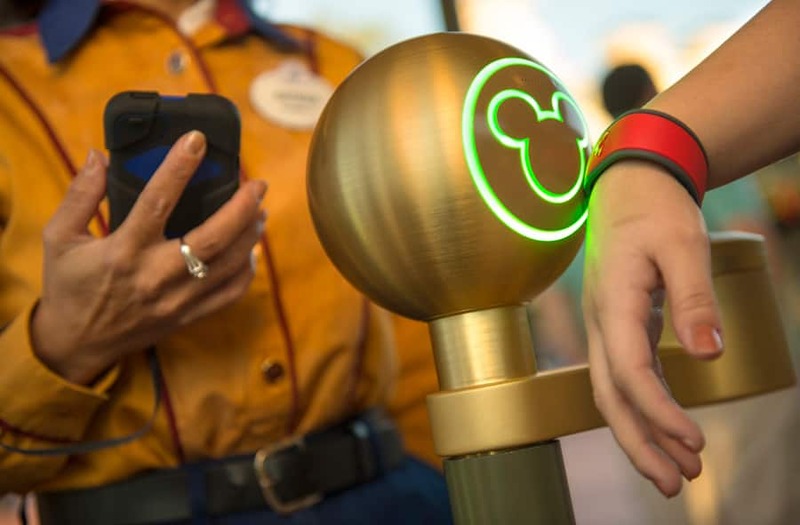 Over the next several months, we’ll be rolling out a collection of tools at the Walt Disney World Resort called MyMagic+ that will give guests more opportunities to customize and personalize their entire visit. I would like to know how you get invited to be part of Fastpass+? I was told it was by invitation only. I’m a DVC Member and also have an Annual pass to Disney World. When I called Disney to ask questions regarding this service, they told me that it is not available and you must be invited randomly. We are traveling with 6 adults in our group to DW in October and would love to take advantage of this service. Been reading some of the comments and questions. I will be coming to the part with my 5 & 4 year old grandchildren who do not like to have things on their wrists. I am supposing we can take them and put them our bags. Will these bands also let you enroll in the Jedi training at Disney Hollywood and far in advance can one register. Will it be like registering for dinners and one does so 180+ days in advance. I would really be upset if I got to Disney with my grandchildren and the rides they wanted were all booked and we could not get on. Will you have a specific web site to go to to figure this out before one comes down. I’m going to WDW and Art of Animation Resort this April and already have the app? What else can I expect to have at this time? Am I going to be able to use the MagicBand and the FastPass+ for the stay? We don’t have a smart phone or plan to get one; will this be a problem? I like the cards and am nervous about wearing a wrist band. What about people that have pacemakers or other heart devices? How much is it going to cost to purchase the My Disney Experience and purchase a MagicBand should we with to particpate on this experience? Does my child have to wear his wristband? 1. What if you purchased your tickets at a discounted provider (example Under cover tourist) that provides paper tickets, and you are still staying in a disney resort) can you still use fastpass+? 2. Will normal pass be available in addition to fastpass+, so you can maximize your experience (keeping in mind that you will only have 1 FP per ride at any given time)? 3. Park hopping, I can’t use fast pass+ in both parks when I hop in 1 single day? I assume fastpass regular system will be available to suffice. 4. Overall, given the new system if I just visit without planning, will I get on any ride in decent time? Seems like it would be next to impossible if I didn’t plan. Our family loves to park hop. However, whenever we get to the second park, the FPs are all gone! Will we be able to use our annual pass to get traditional FPs during the morning and use the MyMagic+ to schedule FPs for the evening? I’m really excited about the wrist bands. I live near Disneyland and I have just come back from Disney World where most resorts are using them. It looked like it was a whole lot faster for resort-guests to get into parks and take care of business at the registers. Some have griped about privacy, but I have two things to say: It’s Disney property so you really are their guest and as a guest you should realize you are monitored anyway. Second: You can’t be tracked away from the RFI readers and, besides, they don’t really know who you are from the wrist band. All they know is that wrist band has a allotment of tickets, food and a way to pay for stuff. All of which is by your own agreement. If I buy a ten day park hoper with no expiration date to cover multiple trips will the resort be able to take just the day I want off and put them on my band when I check in? Or will I get a band when I buy my tickets and will the resort be able to add my room key to my band? Or will I need to have a band that will be my room key and another for my tickets? I would love to be able to have an account and just go online and add more day to my band as needed and then when I arrive at my resort just add my room key to it as well. I’m planning a trip for this June. We are staying offsite at our timeshare. I notice that you mentioned that guests staying offsite would be able to purchase a MagicBand. How much will they cost? Will we be able to schedule in advance all three mountains for one day or will there be tiers like in the trial runs? Does anyone know what resorts this is currently available for? the braclet looks thick and don’t know if i would want o weat it on a smmr day everyday for a week. sweat will develop between thte bracelet and skin, resulting in a rash. This sounds great!! We are going to be there the first of April. How do we participate? When and where can I get one? Will they automatically be shipped to us Annual Passholders? I have the app but so far you cannot get a Fast Pass using it, when will that be available or am I missing it in the app? We will be going to DW this summer and have been many times, would really like to be able to reserve a spot for fireworks, parades, etc. I am a little skeptical of the new system. My children and I are HUGE Disney fans. I have been to Disney World between 30 or 40 times. (Shame on me for not knowing the exact number.) Because we visit at least once a year for multiple days, I have purchased multiple 10 day passes with the park hopper and no expiration option. I have heard that the no expiration option is going away. Is this true? If so, will my current tickets still be accepted until all days are used? Will I be able to use these tickets with the new fast pass system? We always stay on park premises. we will be visiting the park in the next week. Any chance of testing out the new Magicband??? I’m THRILLED with the addition of options to plan for Fast Passes in advance! We are making a short 4 night trip over spring break and are hoping to take advantage of MyMagic+…if nothing else, on our arrival day, so we can get at least one Fast Pass to use that day. We won’t arrive in the park until late afternoon, when typically the Fast Passes are gone for the day. Do you think we will get to use it early in April? My fingers are crossed for some extra Disney magic!